Denver Center for the Performing Arts interviewed Joey and asked him what he thought about Red Sox pitcher Ryan Dempster hitting New York Yankees player Alex Rodriguez with a pitch in a recent game. 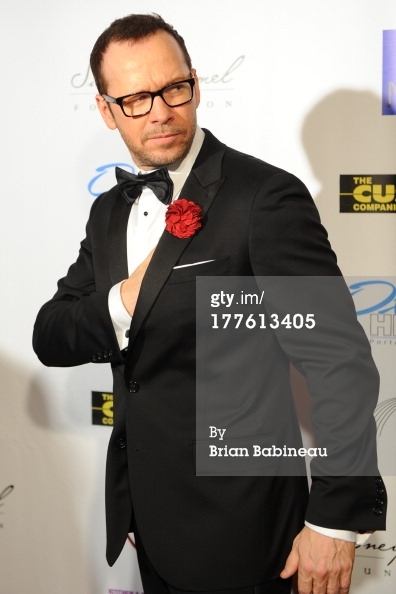 Donnie Wahlberg attended the Dancing with the Stars Charity event hosted by Jenny McCarthy yesterday at Hotel Baker in St Charles, Illinois. Check out some more photos here! Joey interviewed by Kirk Montgomery on Fox 9 in Colorado. He talks about his upcoming show "The Kid", his advice for One Direction and more. I thought I was only going to take part in one marathon this year, but I’m doing another one in Denver. In the form of a one man show called “The Kid” starring…um…ME! I don’t think I necessarily find “the answer”. It IS a journey- the show and certainly the making of the show. Its something that I have been playing out in my mind and in bits and pieces on stage throughout my life. And in my everyday life. The world is a stage for sure. But finding the balance is crucial for me if I want to live in the moment and enjoy it (when its appropriate). Or more simply put, be a “rock star” (small r) and also take a walk around the block in my slippers and smell the roses. Wha? We are in Denver at the Denver Center for Performing Arts- an extraordinary place, with 3 big theaters and several smaller spaces- and it really couldn’t be a better set up for us. Relatively speaking this run in Denver is all very last minute and everyone here at DCPA has jumped in with everything they got to build this production with us. The “us” is Eli Gonda, my director, Christine Boylan, our writer, and Mr. Rob Lewis, my musical director and good friend from NKOTB land. We have done maybe 5 readings during the course of us writing this over the last year- with a few big breaks while I and the others did other projects, but this is the first time we have staged it. The nature of the beast is that we build it here in a place like Denver (again if your lucky you have a facility and people like this). You “hear” the piece. You take some chances. Try things out. Cut things. Cry a little over cutting some of your fave spots that just don’t serve the story. Argue with your director. Hopefully breathe, laugh and soar…before crashing and burning. And then get up the next day and try again. OR maybe its not that complicated. maybe its just fun. Rest assured through all the “experimentation” we aim to entertain. I’m excited to share it with an audience and see where the ride takes us. If you can make to Denver (or you’re already in the area) from August 29th to September 15th, please come. Its gonna be fun!!! 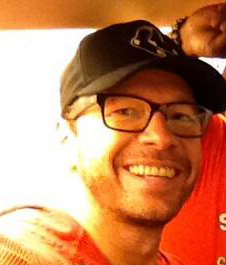 Happy birthday to Donnie who turns 44 today! 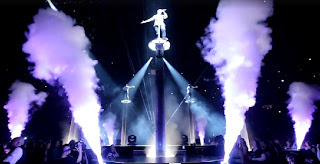 As New Kids On The Block singer Joey McIntyre prepares to wrap The Package Tour with 98 Degrees and Boyz II Men this Sunday, he can take pride that no practical jokes have made anyone look foolish—yet. So if practical jokes aren’t his thing, what does make him laugh? Indeed, the group—which also includes Donnie Wahlberg, Jonathan Knight and Danny Wood—cherish their relationships after weathering the ups and downs that superstardom has wrought since they hit the big time with a string of hits beginning in 1988. Of course, working hard means playing hard and spending big on those he loves. In fact, the tour will end just in time for him to mark his 10th anniversary with wife Barrett next week. The couple are parents to Griffin, 5, Rhys, 3, and Kira, 2. Although he’s not pining for a private island, there is one investment he can’t wait to make. Joey will be starring in "developmental production of a new musical, THE KID" from August 29 through September 15 at the The Garner Galleria Theatre in Denver. Tickets go on sale to the public tomorrow (Wednesday, August 14) at 10am online at denvercenter.org or by calling 303.893.4100. 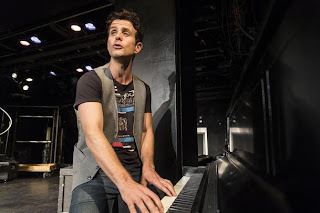 Read an article about Joey from Broadway World here. 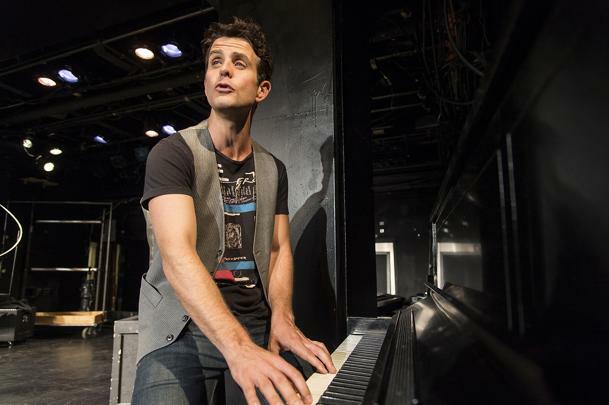 DENVER — He rose to fame as one of the New Kids on the Block, but singer Joey McIntyre is about to work a different kind of stage. Denver’s Garner Galleria Theater confirmed that the singer-actor is producing and starring in a one-man show about his own life that is set to debut in the Mile High City. The show is called ”The Kid,” and it’s a work in progress. Rehearsals will start on Wednesday, according to sources. Producers are being tight-lipped, but it now appears that McIntyre’s show will open at the Garner Galleria Theatre at the end of August, and run for two weeks. It does, of course, feature music. Here is a news segment from NEWS10 ABC in Albany about the New Kids on the Block concert. The full length video for "The Whisper" in now available on Live Nation!